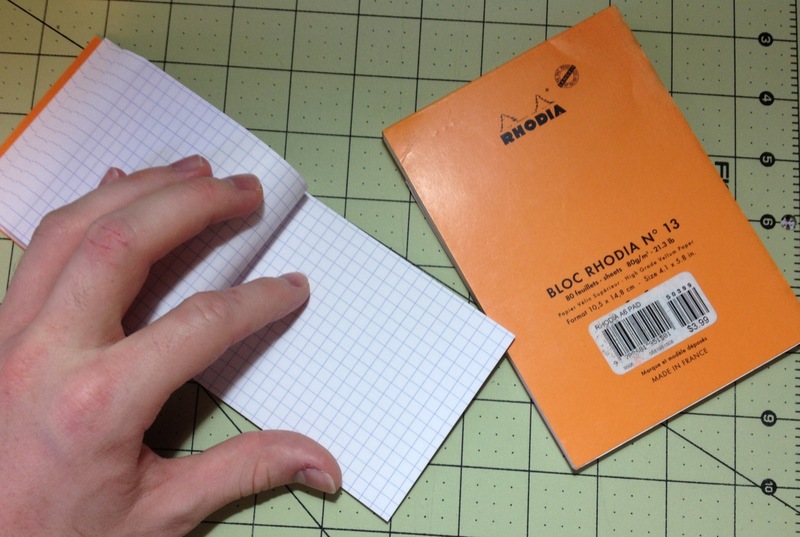 I’ve been using Rhodia products for years now, and the way that I was introduced to them was their famous pad-style books. I got one as a gift and used it almost every day in school (only almost because I wasn’t taking notes with it but writing down ideas). And I’ve had a few around ever since. Let’s take a look at what made them so widely used and praised. 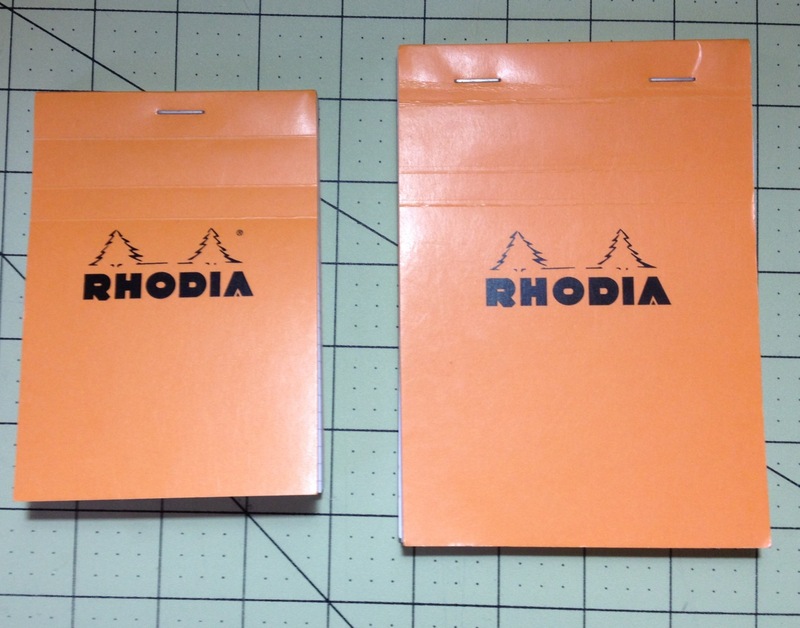 The pads themselves are simple, and have very few differences between the sizes. They are an orange rectangle, with one or two heavy-duty staples in the top and 3 creases on the cover to allow it to be folded over the spine easily and cleanly. 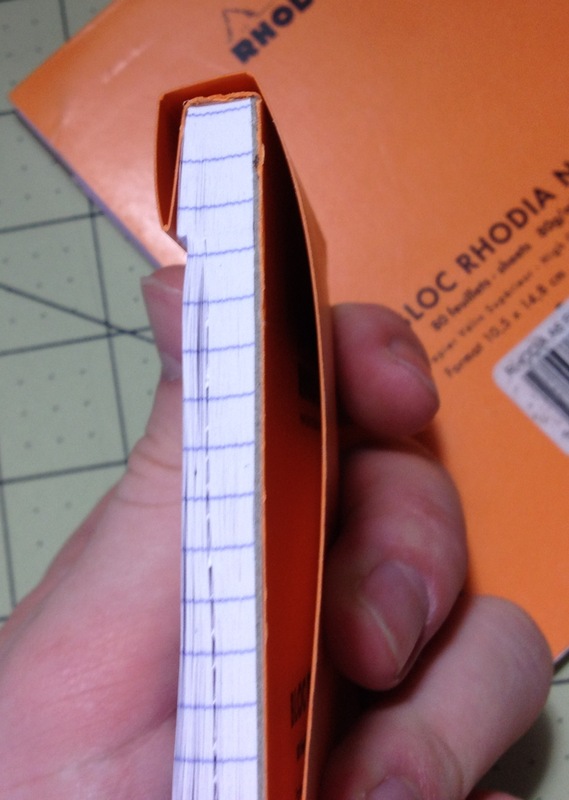 Both the front and back have the Rhodia tree logo, with the back one being smaller and above some of the book’s specifications (in metric and imperial) and usually a price tag/bar code. Inside there are perforations on the top of each page, and with the thickness of the paper and the quality of the perforations, tearing out pages is easy, but they do not tend to fall out with hard use. The size of the paper in each book varies, and it comes in line or graph versions (dot in the premium editions, and unfortunately no blank). 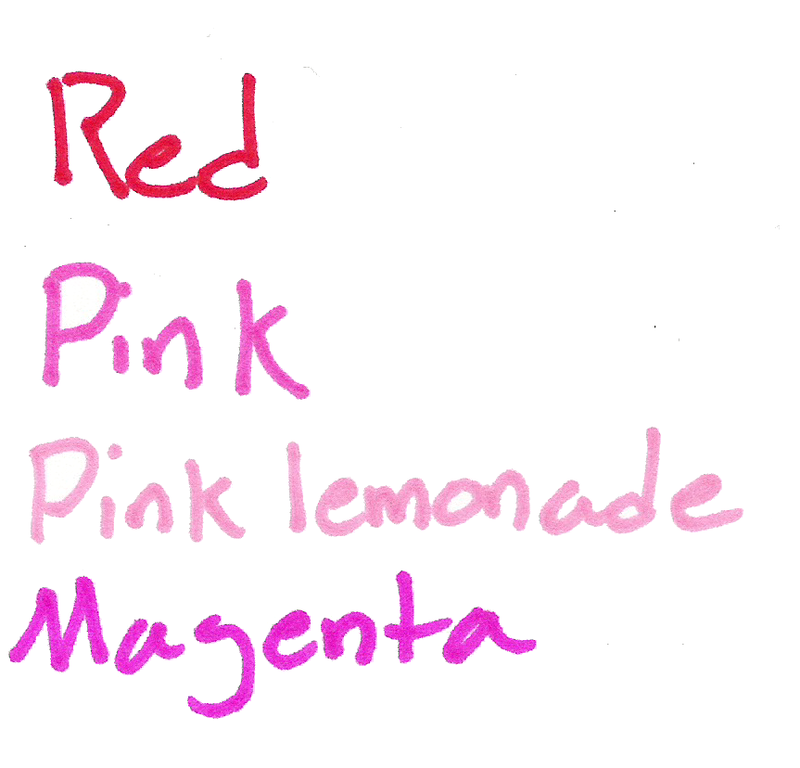 The ink used is a light blue-ish purple that doesn’t interfere with ink or pencil, the line paper is a bit darker. The paper is vellum and very ink resistant, meaning long dry times but little feathering, bleed through, and page crinkling. Show through can still be a problem, but most ballpoints and fountain pens write very well on the paper with almost no side effects. Paints and markers such as Sharpies are where the paper starts to not hold up as well, but the minimal crinkling, and the lack of bleed-through is still a very good performance. 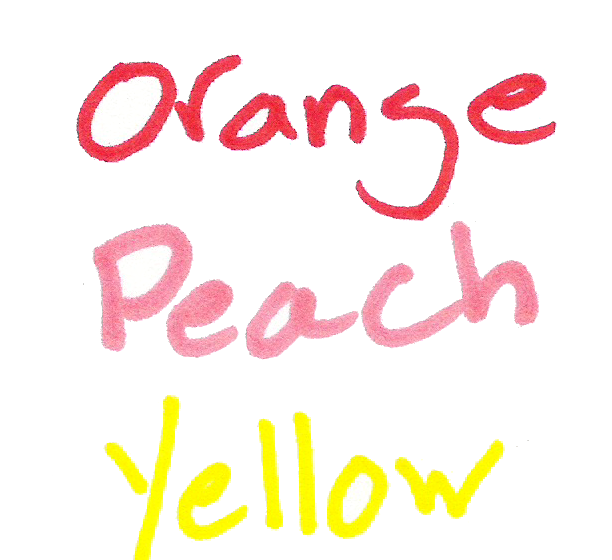 The coating on the paper also allows for very smooth writing, but one might have to press down hard with less wet pens. I might have already given away my opinion of the books in the first paragraph, but they are lovely. The writing experience is super smooth and pleasant; the worry that one might have with other papers when writing with liquid ink pens in non-existent. The binding is hardy and the cover wears very well with minimal things to be problematic. I’m generally not a fan of covers that fold over the top of the book, but I make an exception here. They make great traveling journals, school notebooks, coffee shop list makers, etc. And they can survive both fountain pens and being tossed around in a backpack. If the styling was a bit more my speed I would carry one around all the time. Still they are very versatile, and for the smaller ones, fairly inexpensive. 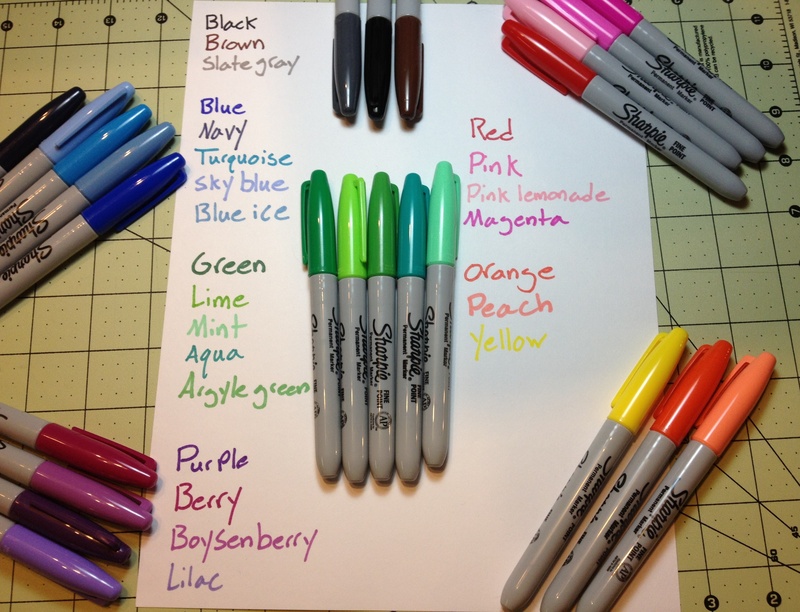 All right, now it’s time for part 4 of my look at many of the Sharpie Colors. This time it’ll be the purple-ish set I’m looking at, so let’s get to it. Purple – The standard purple color is a very dark purple that looks much like the stereotypical purple. It looks almost bright enough to be some of the darker purple flowers, or a very near-night sky. It doesn’t have many applications in most workplaces either, and its darkness could make it hard to read. It’s middle of the road on bleed, through, for Sharpies, and almost doesn’t feather or shade, making it a pretty good all around color to use around the house. Berry – Berry certainly lives up to its name and provides a very reddish purple that is very similar to berry juice. It doesn’t have many other natural applications, though. It is bright and visible, with minimal bleeding, shading, and feathering. It’s a very good organizational color even if it might not be that work-friendly. 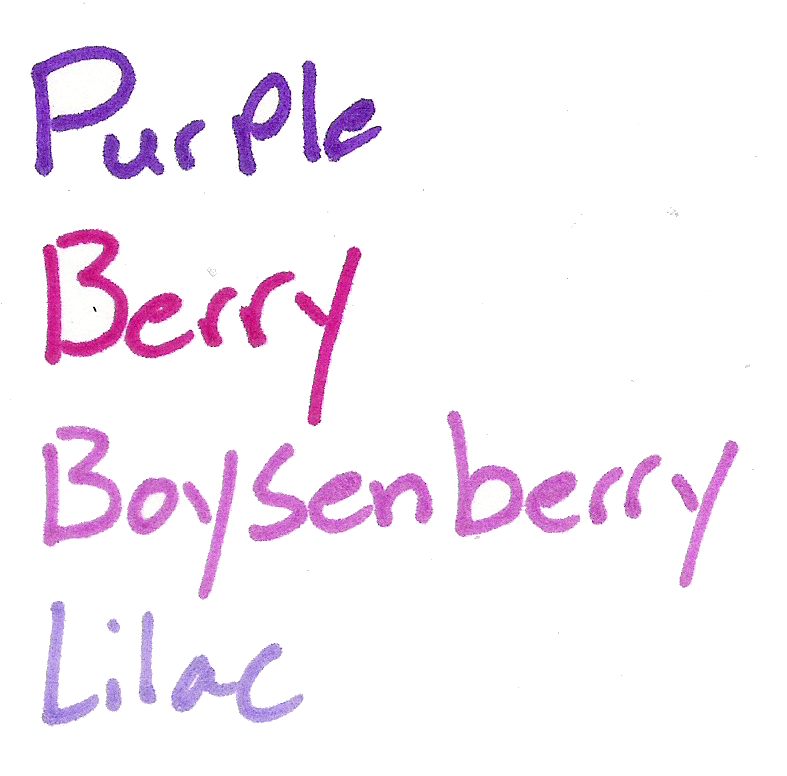 Boysenberry – This color is an interesting one. It’s a lighter, reddish purple that is akin to the fruit from which it takes its name. It is a much more appealing purple color and is useful in many situations. It’s prone to bleeding, but feathering and shading are minimal. I like it a lot, but it isn’t the most useful color. Lilac – Lilac is a light, bluish purple. It is very similar to the flower and many other natural shades. It is bright and easy to read, but a bit unprofessional. It’s not bleed- or feathering-prone, but it shades a bit. It’s a nice looking color, and artistically or organizationally useful, but not really for a work environment. And those are the purples. I like the colors, but they tend to be less useful. It’s just hard to find applications other than organization. But they work very well. Next week I’ll be looking at the various red colors I have.